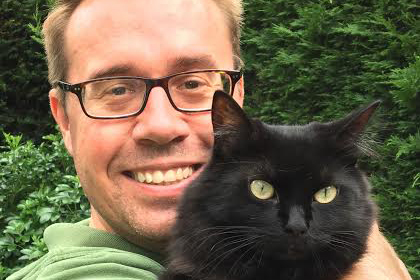 Upmarket pet food brand Lily's Kitchen has poached senior Diageo marketer Chris Lock, who becomes its first marketing director. Lock has spent nine years at the drinks giant, with the last two as general manager of the innovation team for Europe, where he was responsible for driving new product launches across the portfolio. He has held a series of other high-ranking marketing jobs at Diageo, including Western Europe category marketing director for vodka, gin and rum; and acting global brand director for Smirnoff. Before joining Diageo in February 2007, Lock had stints at Coca-Cola and Camelot. In his new role, Lock will report to Lily’s Kitchen chief executive and founder Henrietta Morrison, overseeing both UK and international marketing. "Lily’s Kitchen is an innovative, challenger brand that has already made deep emotional connections with a loyal consumer base and has enormous scope for further development," said Lock. "I’m looking forward to using my broad experience to develop disruptive marketing campaigns that truly resonate with all of our potential customers, and to leading the Lily’s Kitchen team to achieve their ambitious goals." Morrison said the appointment marked "an exciting and directional move" for the brand. She added: "Chris will play a pivotal role in bringing a fresh approach to our customers, brand and communications. His customer insight and leadership skills will be crucial and a great asset as we take the business to the next level."